This photograph is taken from an old family photograph album. 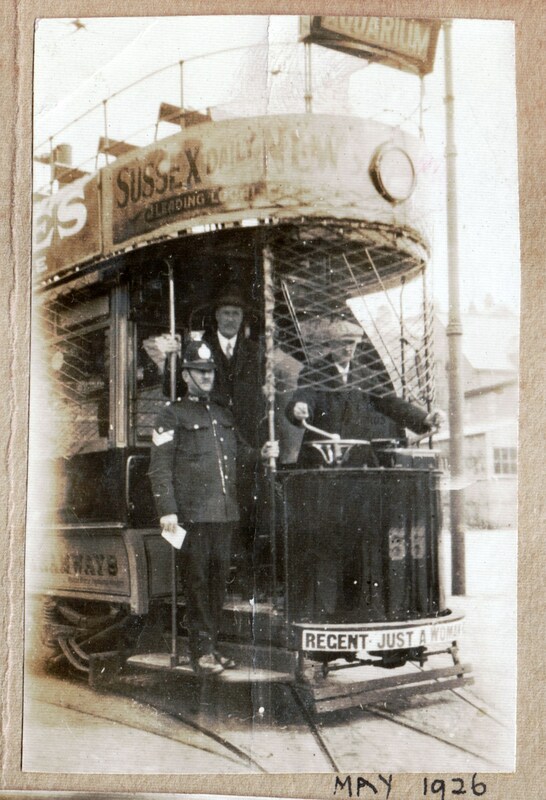 It depicts a tram, driven by a volunteer with police protection, during the General Strike in Brighton, May 1926. I would be very interested if anyone can supply any details of how this strike affected Brighton and Hove.